Cheshire Bike Zone are located in the centre of Crewe, just a five minute walk from the train station, and they have a wide range of 50cc and 125c motorcycle and scooters to choose from. Further north, RJH Motorcycle Training are based in Northwich and boast a spacious off-road training area, on-site shop and MCIAC Approval, which means they offer some of the best training in the UK. What Can I Ride with a CBT? Once you complete our Compulsory Basic Training, you’ll receive your CBT certificate, which will allow you to ride on the road for two years. 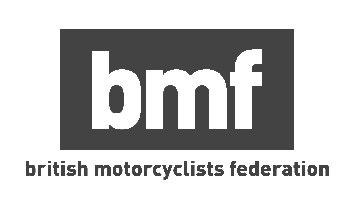 If you take your CBT at the age of 16 then you’ll only be allowed to ride a machine with a maximum capacity of 50cc and a top speed of 30mph. If you’re 17 and above you will then be able to ride a machine with a maximum capacity of 125cc and maximum power output of 11kW. On the day of your CBT you’ll be given the choice of riding an automatic scooter or a manual motorcycle. We recommend choosing whichever it is you’re going to be riding once you’ve completed your CBT. It doesn’t make much sense spending a day learning to ride a manual motorcycle when you’re going to spend the next two years riding a twist ‘n’ go scooter. Once you’ve completed your CBT test in Crewe you’re perfectly placed to embark on some two-wheeled day trips. You could nip to the coast for a chip shop dinner, or for something a little different, you could head east to the Peak District - home to some of the best roads and scenery in England. The A537, otherwise known as the Cat and Fiddle is located in the south of the Peak District, and connects Buxton and Macclesfield. It’s one of the most famous roads in the UK thanks to the amazing views across the hills of the Peak District. If you choose to ride the Cat and Fiddle, don’t forget to stop at the pub from which the road gets its name. Further north in the Peak District, between Glossop and Sheffield is the A57 - Snake Pass. This is another well know road, which winds through the Peak District, skirting the edge of Ladybower Reservoir and climbing to the top of the peak district just to the east of Glossop. Snake Pass is popular with bikers and cyclists so it’s busy during the weekends - especially in the summer. If you want to get away from the traffic you can head down into Hope Valley and explore the many picturesque country villages which are dotted among the hills. The Peak District being an area of great beauty means many of the small videos are filled with walkers and day trippers, so keep an eye out. If you want unmatched views, Derbyshire and the Peak District then we’d recommend heading upto Holme Moss, near Holmfirth. The road itself is challenging and exciting, and there’s a car park at the top where you can enjoy the views. There’s even an ice cream van there in the summer.